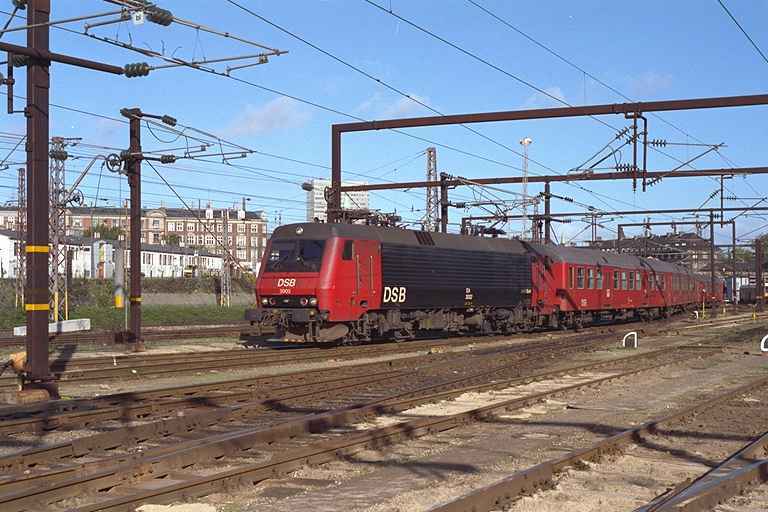 Class EA was Denmark's first electric locomotive. They were built in Germany 1984 onwards. Technically they are based on the German class 120, although by their looks they resemble class ME diesels. When DSB Gods was sold to DB, most of the class EA machines went to DB and its daughter companies and almost all have by now been moved to Bulgaria and Romania. Here we see still one class EA being ready to haul a night train to Basel, Switzerland. This night train service has been cancelled by now. Picture from Copenhagen central station 10.10.2012 by Ilkka Siissalo. 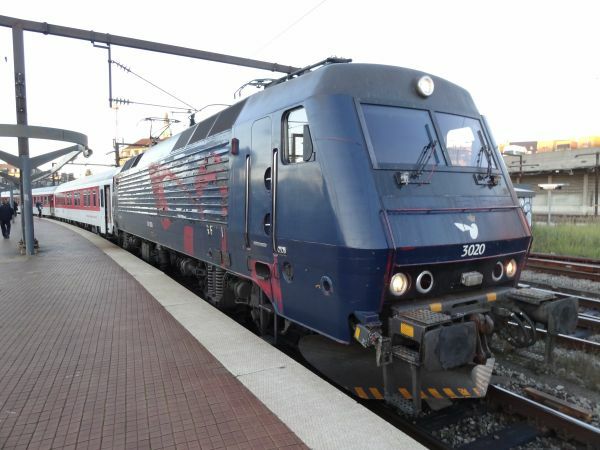 DSB electric train type IR4 (also known as class ER) is practically identical with the three coach diesel train IC3, except that it is electric driven and has four coaches instead of three. 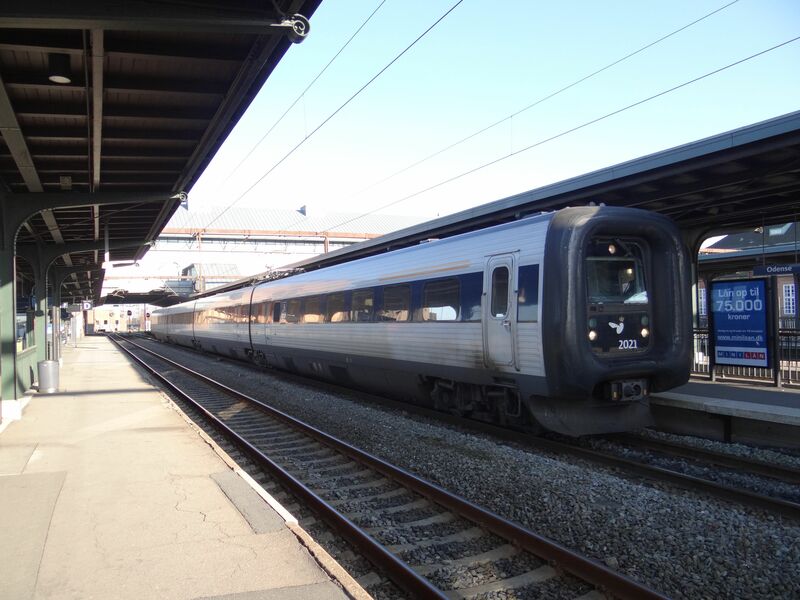 The diesel and electric units are often coupled together into one and the same train. A typical use is that a long IC train consisting of both IC3 diesels and IR4 electrics leaves Copenhagen jointly, but is somewhere on the way, like Fredericia for example, split up into several trains, one of which is electric and the other one diesel, each heading in different directions. These trains were built 1993-97 by Scandia. 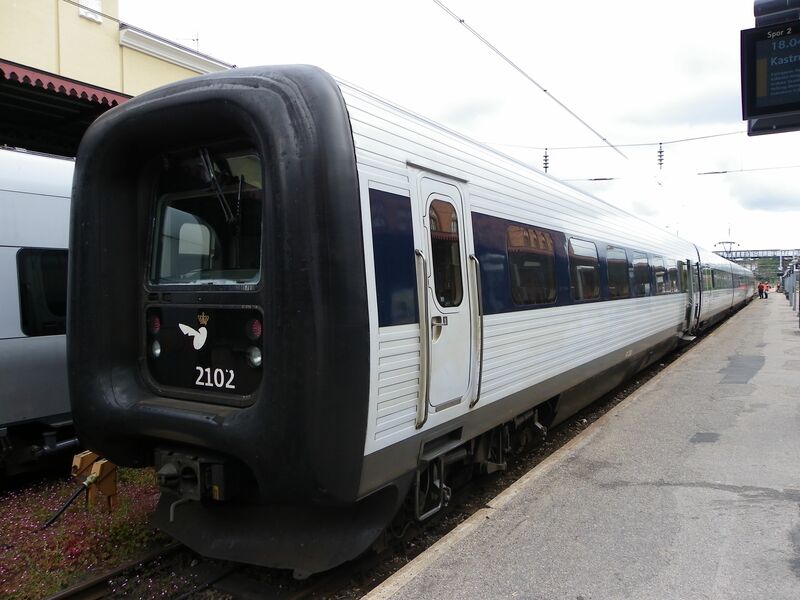 They were originally intended for only regional traffic, but especially due to the failure of the Italian IC4 trains they still now form the backbone of InterCity traffic in Denmark. Picture from Odense 13.3.2014 by Ilkka Siissalo. Picture from Helsingør 30.6.2010 by Ilkka Siissalo. DSB class EA no. 3002 Bo'Bo' 25 kV~ locomotive built in 1984 in its original livery.